Every year since 2015 HackConf has welcomed professionals of all walks to share their passion, insight, and experience with the developer community. We value both strong individual characteristics and the overall diversity of our speakers' line-up. The conference days (12-13th of October) will run on two tracks. Your talk should be 30 minutes long. We believe that the best talks are the ones which our audience can use in their work after the end of the conference. The talk can be suitable for all levels of experience - from beginners & advanced beginners to senior developers. We particularly favor talks that either contain practical takeaways for the audience or take the form of a story that can inspire our attendees or help them avoid common mistakes. It's helpful if it has a fairly wide appeal, although sometimes niche talks are well received too. Check out HackConf 2018 talks for some inspiration! We’re open to all kinds of ideas, especially ones we haven’t thought of! Technical workshops tend to be more popular, but we welcome all topics! Workshops can be targeted at any experience level, just be sure to indicate clearly what you expect your students to already know or have experience within your proposal! Here you can find more about last year’s workshops. What if we like your proposal? Have any questions? 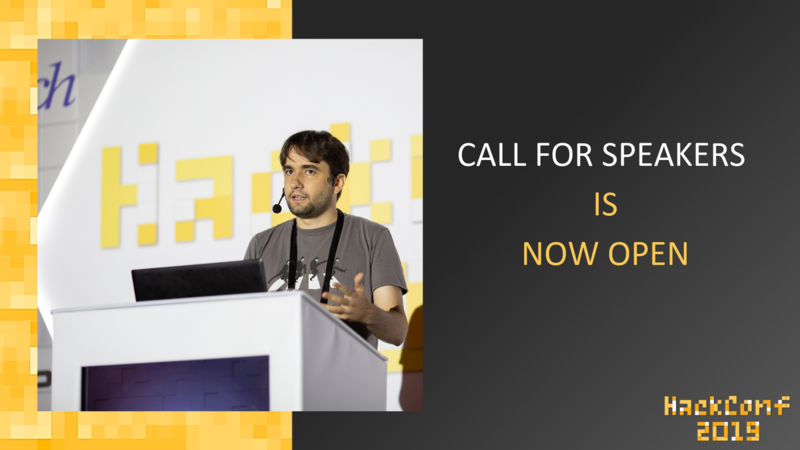 Please write us at team@hackconf.bg or at our FB page/Twitter.